This Christmas we decided to take a break from our traditional way of doing things. 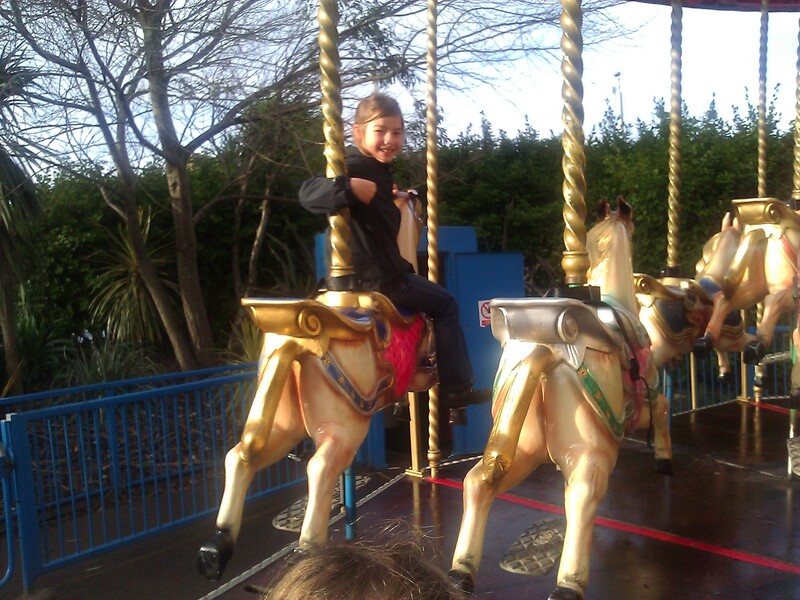 We visited Butlins Minehead Resort courtesy of the Butlins Mums Ambassador Programme. We usually spend Christmas at home, but I can thoroughly recommend a Christmas Butlins break for taking the hassle out of Christmas and spending quality time with your family. We did many things on the break that are not unique to Christmas, these will feature in a later post. This is our diary of the special things that are available on a Christmas Butlins break. We checked in at our Gold apartment and were immediately greeted by some lovely added touches. The dining table was laid with a Christmas cloth, wine glasses, crackers and a bottle of bubbly and when the children checked out their bedrooms they found a lovely little gift each on their bed. We then headed to the Yacht Club for dinner. The children were given Christmas cookies on arrival while we were allocated our table (guests keep the same table for the duration of their break). The dining experience was a real highlight of the break. Not only did I not have to cook but the quality, quantity and choice of food was excellent. Food and drink were on a self-serve basis and the children enjoyed coming to make their own choice of food and using the machines to get drinks. The meals ranged from 3 -5 courses and included a bottle wine . Our meet and greet host Mark also deserves a special mention for his exuberance and energy and for going out of his way to make sure we were happy. The children loved his illuminated tickling stick. 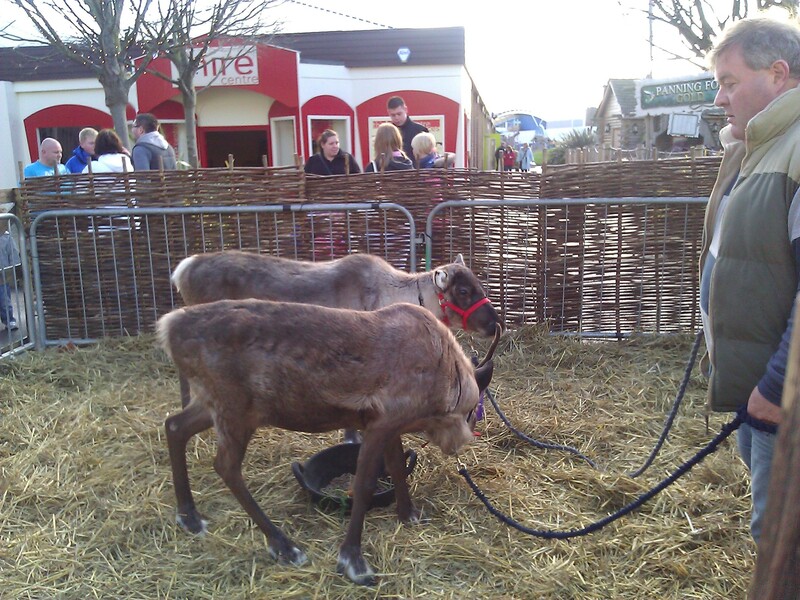 Butlins had a special visit from 2 of Santa’s reindeer and we visited them in the morning. The girls and I spent the afternoon in the Skyline Pavilion. We watched the puppet show and danced with Angelina Ballerina but the highlight was Bjorn the Polar Bear. This amazing animatronic polar bear was so responsive and lifelike that the children were captivated. One girl was chosen to be the first to interact with Bjorn and when she called his name he turned and walked towards her. All the children had a chance to hold their hand out for Bjorn to move towards them to be stroked and as a finale he rose onto his hind legs when the audience clapped and made a noise like a seal. The snow globe looked like great fun with its simulated snowstorm, character photo shoots were scheduled here during the day. Unfortunately, by the time we considered going in (on Tuesday) it had lost some of its juice and the snow wasn’t falling and blowing properly so we decided to give it a miss. Next time I’ll make sure we get in early. During the afternoon the housekeeping staff visited with a bag each containing a carrot for the reindeer and a mince pie for Father Christmas. The girls filled out their letters to Santa included in the welcome pack. 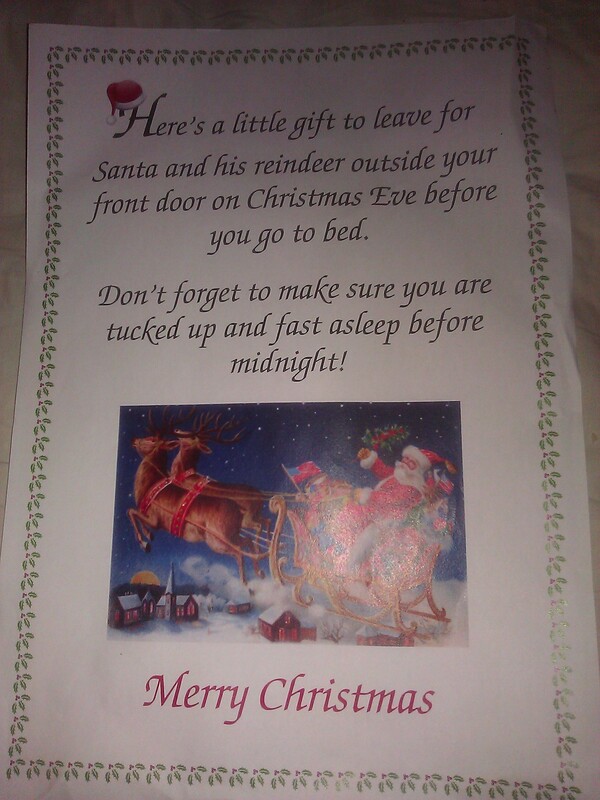 We intended to post them on our way to Father Christmas but by this point the post box had closed and we were too late. 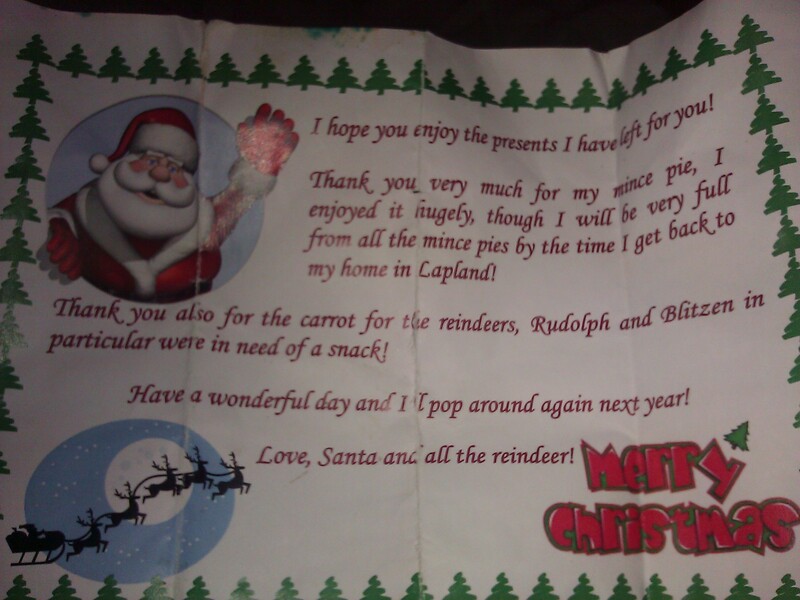 I believe had we been on time the girls would have received a personalised letter from Father Christmas. 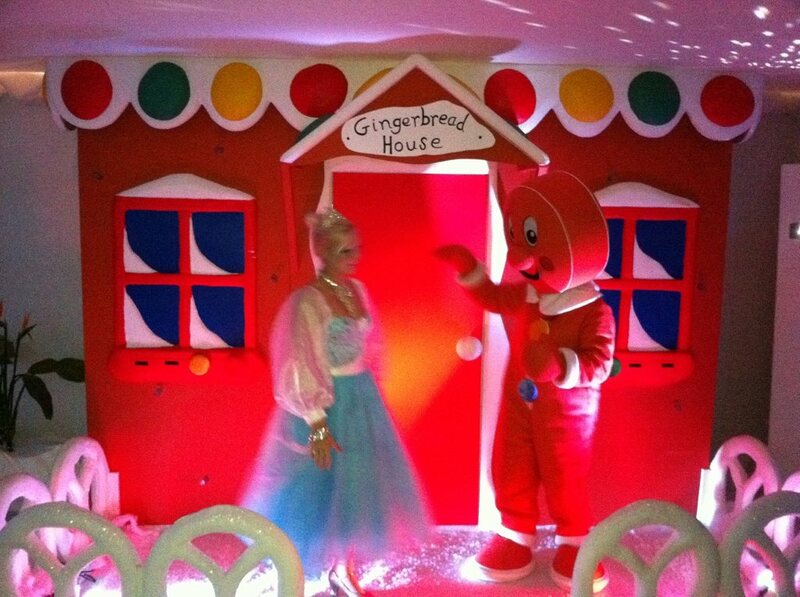 We had a pre-booked time slot to visit Father Christmas in his Enchanted Forest. The children loved being met by the Gingerbread Man and a fairy as we entered the Forest and each had a good quality gift from Father Christmas (this incurred no extra charge). On the way to dinner we caught the end of the firework display and my 3 year old who is afraid of fireworks was very brave. After dinner we headed to Reds for a few drinks, and to catch the Take That tribute band. This was followed by an Adele tribute and Beatles tribute, but these were a little late for our kids. When back in the apartment the girls hung their stockings on the tree ( we took a small table top Christmas tree with us) and put out the carrots and mince pies along with Santa’s magic key (Butlins apartments don’t have chimneys). All of the Butlins staff went out of their way to help during our stay, this included the security man who helped carry presents to our chalet at 4am. 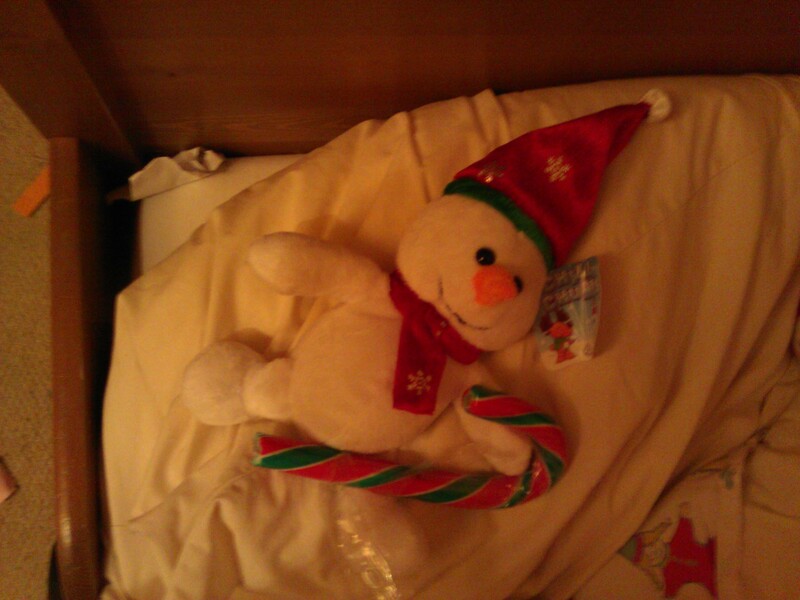 As a minor suggestion if you are considering a Christmas break at Butlins, leave some of the presents at home. The time and space it took to load, unload and unwrap all the presents was a little overwhelming! 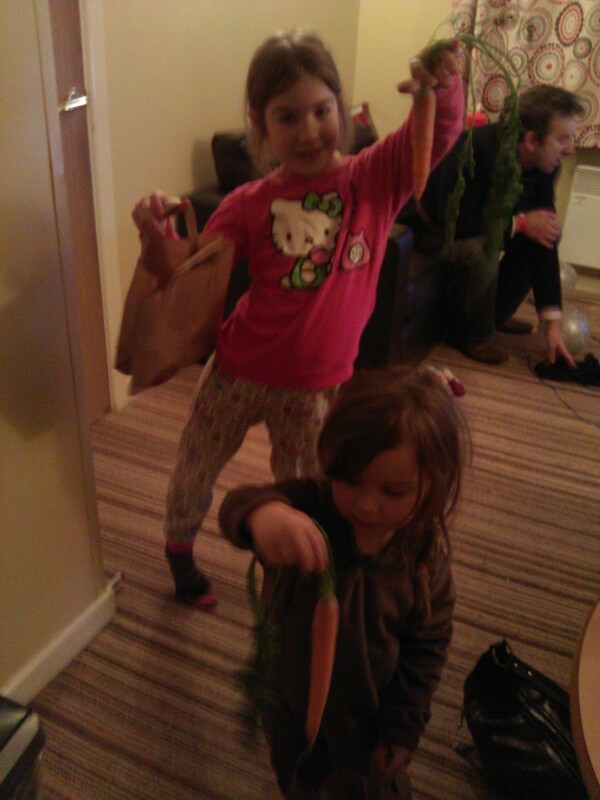 The girls woke up very excited that Father Christmas had visited Butlins. Remarkably, we managed to get the girls to breakfast before opening any presents. On opening the door they found this note from the man himself. The morning was taken up opening presents and we headed for Christmas dinner during the mid afternoon. Today the little table in the entrance was laden with chocolates, fruit and nuts and a glass of Bucks Fizz for the grown ups. Our places were adorned with crackers, chocolates, a box of party poppers, rocket balloons and streamers, a bottle of fizz (yay!) and a little wrapped present for the baby. We unwrapped it to find a Billy Bear bowl – very useful as I had been feeding her snacks from a china bowl in the apartment up until this point. 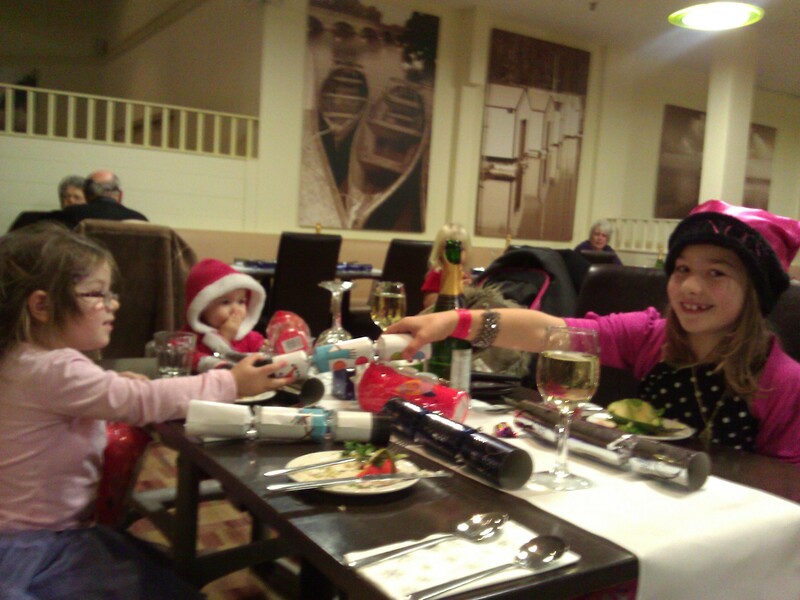 The meet and greet staff soon arrived with children’s crackers and Billy Bear cups for each of the children. A traditional 5 course Christmas Dinner left us all suitably satisfied, before heading back to the apartment for my Christmas Dr Who fix. In addition to regular Christmas television, the Butlins television channel showed the Redcoats favourite Christmas movies, this helped to keep the children amused. Today was our pre-booked time slot for the pantomime Aladdin. This was great fun and the girls really enjoyed it. It wasn’t too long and included plenty of catchy songs. We spent the afternoon at the funfair before coming into the warm for coffee and hot chocolate while the girls enjoyed softplay. For the evening entertainment we made our way to Reds for a Robbie Williams and Girls Aloud tribute and a bit of a boogie. The girls had made friends with some of the children we met at the restaurant and stayed up late dancing and playing with them. Time to check out and say goodbye. I can highly recommend a Christmas break at Butlins. It was great to focus on the children at Christmas rather than visiting and entertaining. I would love to do it again with a large family gathering …. I wonder if I can persuade my family to book for next year? This Christmas break was in Gold Standard accommodation with the Premium Dining package (Dinner, Bed and Breakfast) at Minehead Resort. At the time of visiting my children were aged 7,3 and 1. Bjorn the polar bear is not animatronic, it’s a man in a suit. Wow thanks Ian for that info. I had no idea. Sorry your comment went astray for a while, it ended up in my spam. I’d love to go back this year, unfortunately it’s a bit too far to travel and there is nothing similar in the states .